Watch as Mario condemns this goomba to a slow death. This week's PopMatters post is about the best new software tool of 2015 that also happens to be one of the year's best games: Super Mario Maker. I suppose it's not a surprise that Nintendo would be the developer to make one of the best level editors out there. Nintendo is the best in the business when it comes to the "feel" of a game. There a crispness to each button and menu that make the entire game feel pleasant. This type of attention to aesthetics might seem frivolous, but when I look at the graveyard of past level editors, it's clearly a requirement. What's the best way to inspire people to do great things with your tool? Make the tool itself fun to use. 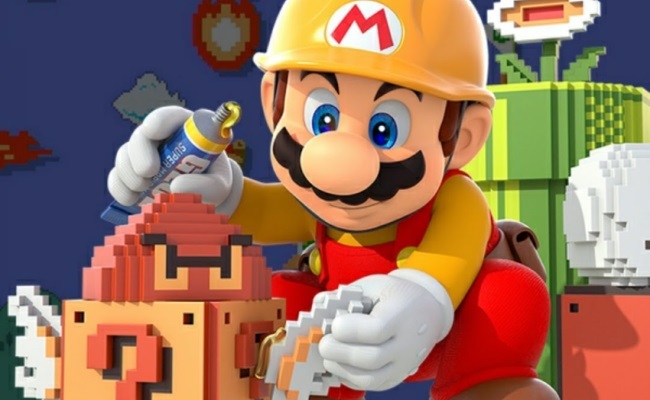 There's also a fair amount of nostalgia and referential charm built into Mario Maker. I never thought I'd see Mario Paint icons 20 years after its release, but they're in the game and serving the same functions they did back when in the days of Bush senior's administration. Even the fly swatter game makes an appearance! The point is that Mario Maker is an outstanding combination of intuitive design and delightful attention to aesthetics. It manages to make building a level feel like a game.